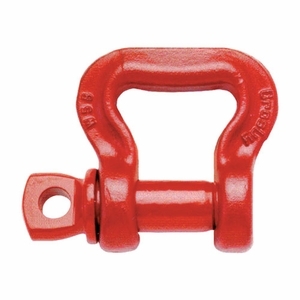 The Crosby S-281 Sling Saver Web Sling Shackle creates greater surface area contact for your web sling. In the end, that means great efficiency, higher capacity and less wear on your slings. All alloy construction and a 5:1 safety factor make this a shackle you can trust. These shackles are ASME B30.26 compliant.